The sound of the dyno approaching 8,000rpm was almost ear splitting. 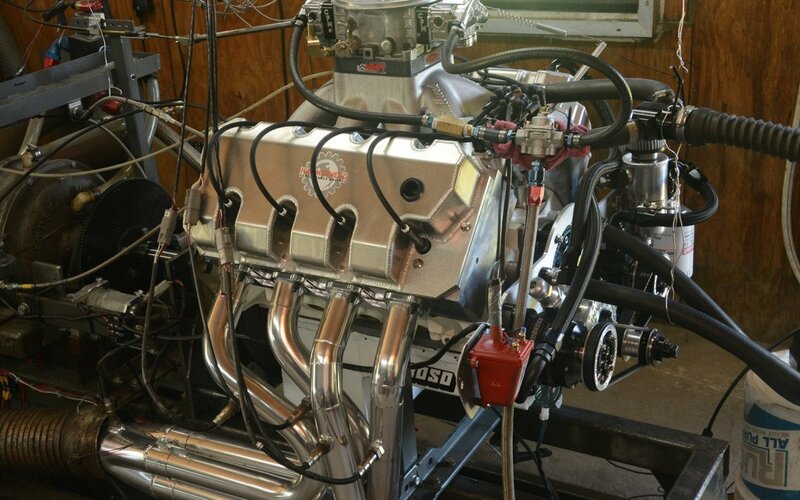 It was the first Friday of June and sitting in an open wooden-framed space at Charlie Pepper’s engine shop in Auburn, near Atlanta, Greg Brown’s innovative Hemi heads on a Man O’ War 427ci small-block Ford peaked at 928hp at 7,700rpm and generated a maximum torque figure of 674.0lb ft at 6,000rpm. When first tested in mild street form with around 9.5:1 compression ratio the combination yielded 602hp. 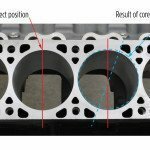 Quite the accomplishment for unique and previously untested cylinder head designs. But it was not the main event nor might this be. Now, around six months later and using ported heads and intake manifold, higher compression ratio and bigger carburetor, but still employing the same stock-size valves (2.200-inch intake and 1.650-inch exhaust) the engine began the afternoon tests by generating peak power figures in the 850hp range. But with incremental timing and carburetion adjustments it eventually made its way up to a mighty 928 horsepower. Greg Brown making final adjustments before dyno pull. 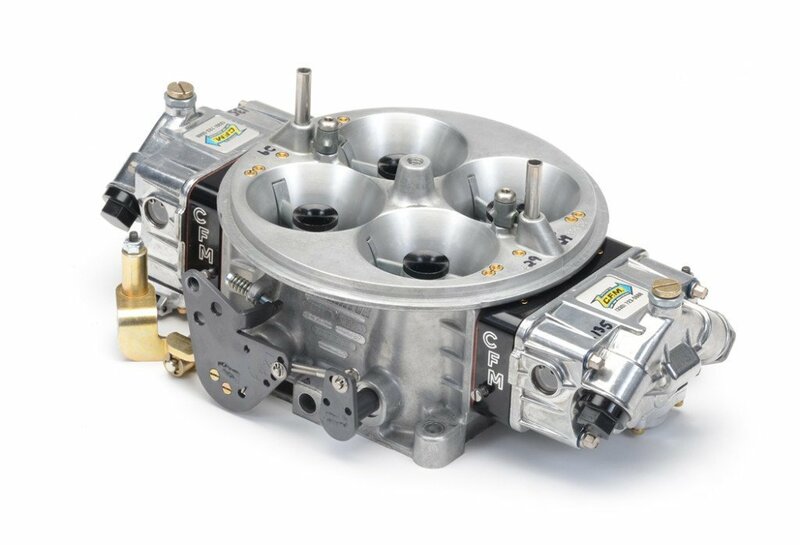 Of even greater significance, perhaps the 1250cfm Dominator-style carburetor had proved to be too small during the tests and will be replaced by another that’s capable of generating air flow of around 1450cfm. When dyno runs recorded an overly rich condition, the 125 main jets were replaced with smaller 118s. Then Brown consulted with carburetor specialist Dale Cubic. To Cubic’s mind the situation sounded counter intuitive. Why would a 427ci engine generating over 900hp with this carburetor require such a small jet? The engine was producing impressive power and drawing vigorously on the carburetor while consuming less fuel than anticipated. Chris Smith, Brown’s long-time friend and head engine builder at Elan Motorsports–the notable Le Mans racing operation, calculated the engine’s volumetric efficiency as 18 percent higher than normal—“the engine thinks it’s 18 percent bigger than it is,” said Smith. In addition to the air restriction issues, the outer ports of the tested intake manifold were longer than optimum. Tony Bischoff of Bischoff Engine Services, the multi-time winner of the Engine Masters Challenge, told Brown that switching his existing competition intake to a CHI model would likely generate an additional 30 to 40hp. So, it’s hardly an exaggeration to assume there’s plenty more in store for the Hammerhead Hemi. Also, the installation of twin carburetors would have generated further power increases. Moreover, for the next test, valve sizes will increase to 2.300in and 1.700in (intake and exhaust respectively) which, in turn, will increase the flow rates to 471cfm / 320cfm. By any measure, this Hemi surprised all associated with it, not least by the fact that it achieved its exceptional power output using a mere 29 degrees of ignition timing—the mark of an efficient combustion chamber. Looking farther ahead, it now appears that the genius of the design may extend itself to GM use but, rightly, prudence doesn’t allow a shift in resources just yet. An already impressive technical achievement, the promise of more to come is intriguing. Never the most urgent voice for a power adder, Kaase, for whom Greg Brown worked for 12 years, enjoyed the challenge of finding new and ingenious ways of cajoling more air into the naturally aspirated cylinder. So, too, it became part of young Brown’s education while determining the merits of a new cylinder head not to add a supercharger or turbocharger or to add nitrous, but instead test its merits in naturally aspirated condition first. On the last dyno pull of that afternoon, the twelfth in succession, Charlie Pepper leaned over to young Brown and murmured “Are you sure that’s only 427 cubic inches?” An admirable comment I’d say—for at the end of that hot afternoon those result sheets surely represented the emblem of progress! 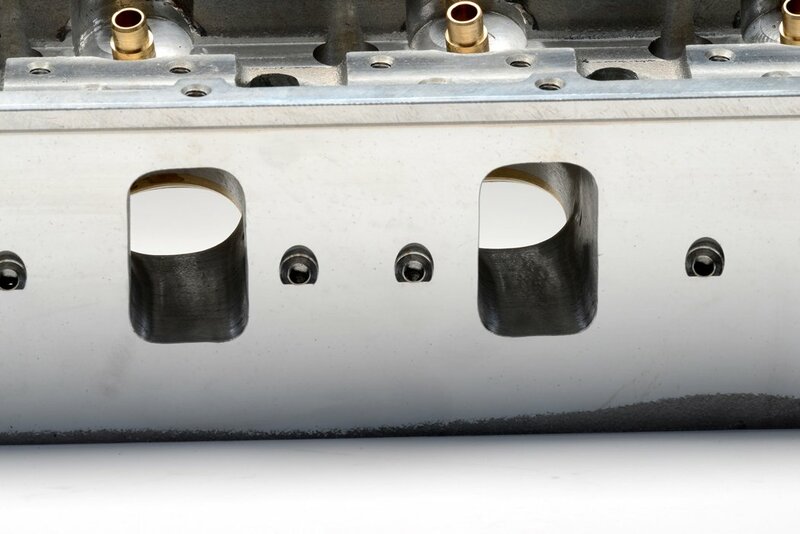 When Tony Bischoff mentioned that a port-matched CHI intake manifold would probably increase engine output by as much as 30 to 40hp, it became important to find one. 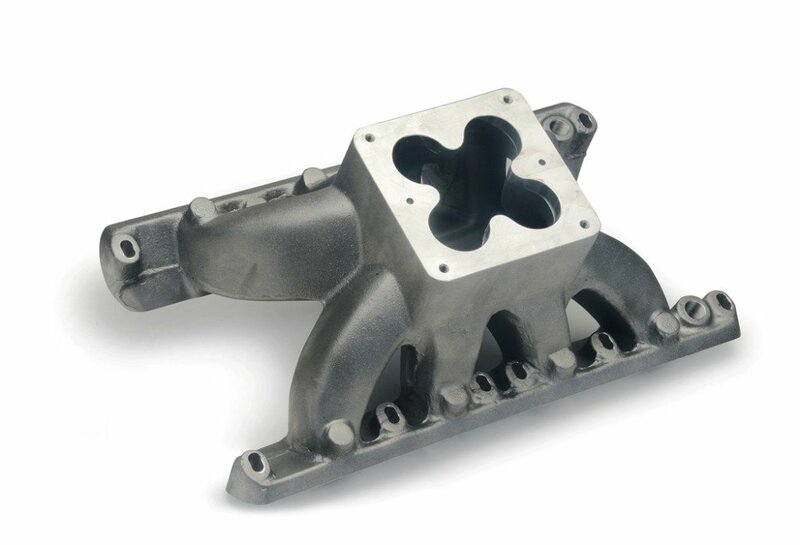 The straight shot: Intake manifolds with line-of-sight from entry to exit are the most desirable for best power production, and this one is ready for use in future tests. 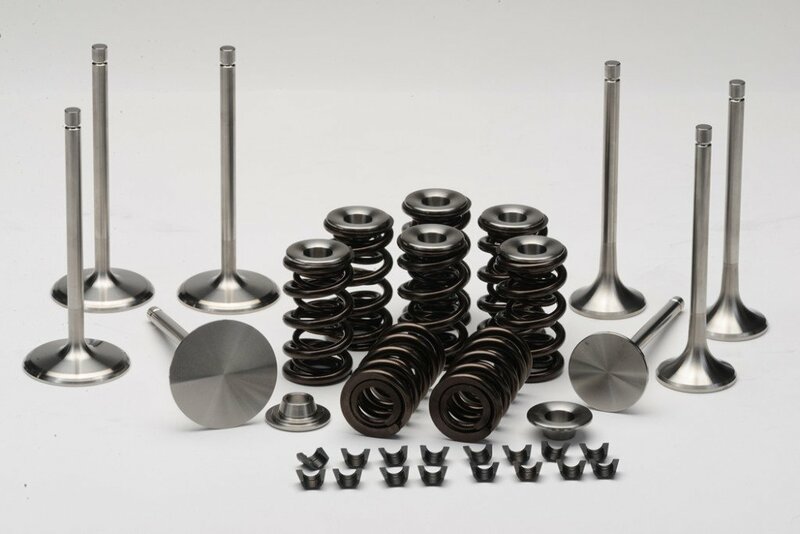 For this June 2017 dyno test, both intake and exhaust valves as well as spring retainers were produced from titanium. 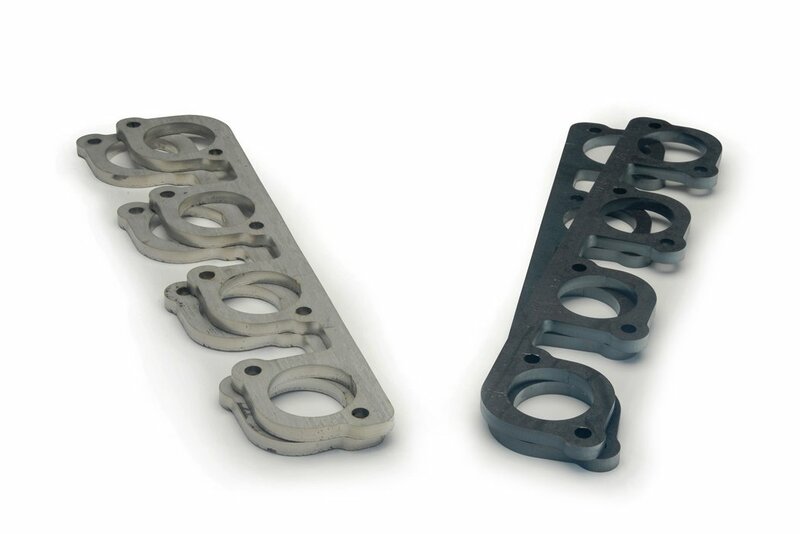 The valve springs employed were supplied by renowned spring maker PSI. Would like to see a similar engine in dragster running with those big block GM team bailout guys. Greg you should be very proud of this accomplishment. I am proud of you because you worked hard and are a decent guy. Looking forward to doing business with you. Wonder how one of those rare in-line Autolite carbs would work on your project. They ran 1250 to 1450cfm, but you would have to compromise manifold. Hi Clarence. I believe one of those carbs would work great. 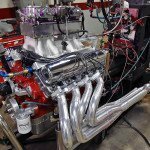 One of the last engines I built for Kaase was a 528″ Ford ProStock type engine we did for a pulling truck customer. We fabricated our own inline 4 barrel from two purpose built two barrels. That engine would go to 10,000 RPM and made 1350 HP. 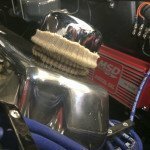 A tunnel ram or sheet metal intake would be the intake of choice for that design of carb. I have a ’64 Falcon that I purchased about 18 months ago that I wanted to turn into a 275 tire car that would be mostly strip/some street. 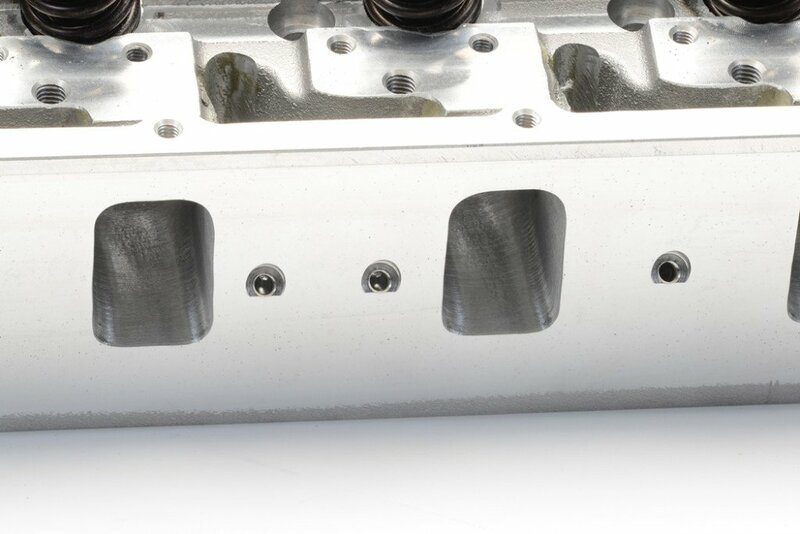 About a year ago I purchased a Ford Motorsports 427 aluminum short block and have since been researching heads for it. I was considering Kaase P38’s until I came across these articles last year and have been following your progress. It is certainly impressive. Are you willing to give out the compression ratio and cam specs on the latest 928 hp test run. I will be contacting you. Mother of God…wow…what would it cost for something of this caliber? 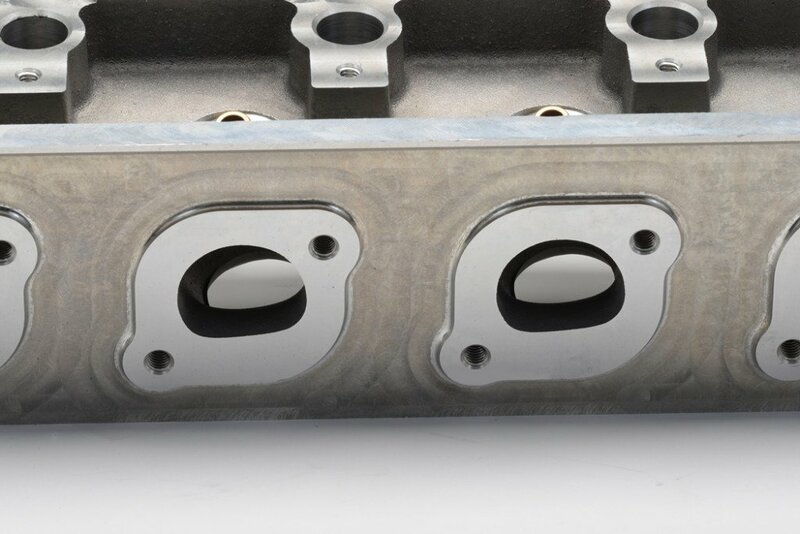 What do those heads cost complete with valvetrain and fully CNC-machined? 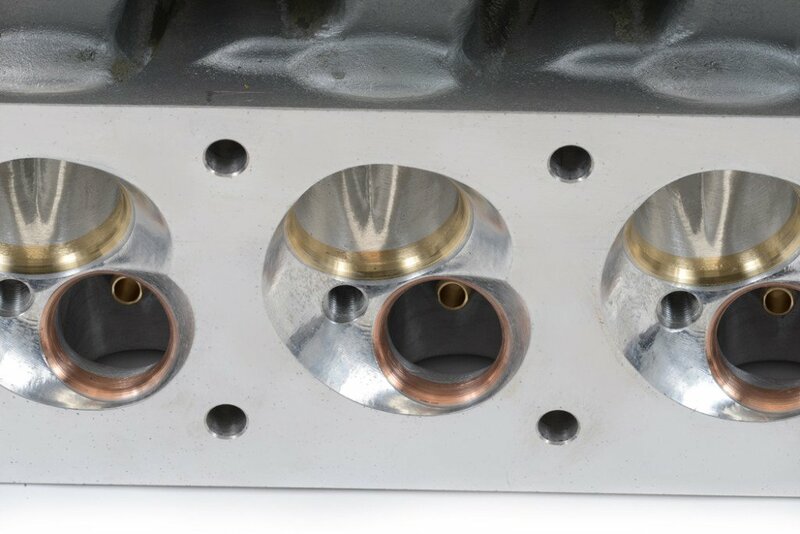 Do you offer a piston for these heads and, if so, cost please?